The media in Sri Lanka has often misrepresented the cigarette industry and cigarette taxes in favour of the monopoly producer Ceylon Tobacco Company (CTC). In June 2017, Verité Research (VR) published an Insight titled ‘Who’s responsible for ‘Alternative facts on tobacco taxation’. Official statistics published since the article, lend further credence to the analytical inaccuracies highlighted by VR. The current Insight draws attention not to an inaccuracy but a key misunderstanding about cigarette prices that has been fostered in the media and hides the truth about who decides on the price of cigarettes and how those decisions have profited CTC. 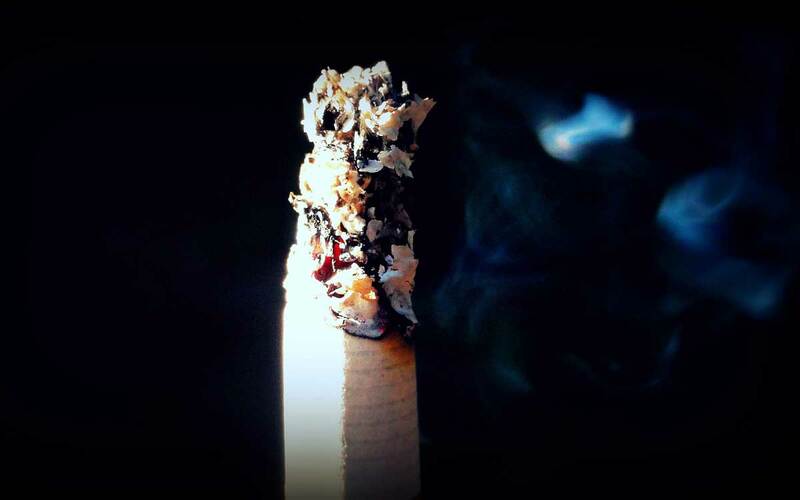 The media often presents the tax increases on cigarettes in the following ways. First, it presents the government policy to increase cigarette tax as a policy to increase cigarette price. Second, it presents the price increases as being driven exclusively by tax increases. Both claims are incorrect. Claim 1: The government policies to increase the cigarette tax are presented as a policy to increase cigarette price. This claim is incorrect. The government has no legal powers to directly set the price of a cigarette– it only has the power to set the cigarette tax. After the government sets the tax, it is CTC that decides on the cigarette price. Claim 2: Price increases are driven exclusively to tax increases. This claim is also false, as will be explained below. When the taxes per cigarette are increased by the government, CTC has three choices: (1) absorb some of the tax increase, so that the price increase is less than the tax increase; (2) pass on only the tax increase to the consumer and increase the price by only the amount of the tax increase and (3) increase price by more than the tax increase, so that the CTC plus wholesale and retail revenues per stick (known as the net-of-tax price) is also increased. CTC has consistently chosen the third option. Therefore, the increase in price has not just been due to the tax increase, but also due to the net-of-tax price increase by CTC. Table 1 shows the increase in government revenue per cigarette against the increase in CTC revenue per cigarette (through the increase in net-of-tax prices). However, because CTC schedules the increase of net-of-tax price to happen at the same time that the government increases taxes, public attention is diverted towards the tax increase and the price increase is seen as being fully driven by government tax increase, even while CTC has increased its profits, despite some contraction in demand due to the price increase. Table 1 shows the increase in the net-of-tax price charged by CTC over the years. For instance, in 2016, for the most sold brand of cigarettes, CTC increased the net-of-tax price by over 40 percent, which added Rs.3.73 to the price, over and above the tax increase. Similarly, for the least-priced-brand, CTC increased the net-of-tax price by just over 89 percent, adding Rs.2.69 to the price, beyond the tax increase. Over the last decade or so, the net-of-tax price charged by CTC per cigarette stick, has grown faster than the tax charged by the government. From early 2005 to present, the net-of-tax price charged by CTC grew 10.7 times for the least-priced-brand. In contrast, the tax per cigarette collected by the government grew 7.3 times. Similarly, for the most-sold-brand, the net-of-tax price charged by CTC grew 8.7 times while the tax per cigarette collected by the government grew 5.3 times. This means that CTC’s revenue from each cigarette sold has been growing faster than revenue to the government. What the data in Table 1 also demonstrates is that despite the public understanding to the contrary, the tax percentage of cigarettes has historically been decreasing, not increasing, since 2005. For the most-sold-brand, the tax rate was 82.5 percent in early 2005 but was down to 67.9 percent by the first half 2016. Despite the corrective tax changes in the third quarter of 2016, the tax rate is still only 74 percent of price at present, well below the ratio in 2005. These tax rate changes follow the same pattern for the least-priced-brand as well. When CTC increases the net-of-tax prices, it means the company believes that percentage reduction in demand will be less than the percentage increase in price. Only then can they increase revenue through an increase in price. The company has been proved correct because its profits have continued to increase every year, especially when the prices were increased. If the CTC is able to increase its net-of-tax revenue when it increases the net-of-tax price, it means that the government also increases tax revenue when it increases the tax on cigarettes. This is also exactly what has happened every time the cigarette taxes were increased– despite what has been said in the media about cigarettes being overtaxed. Additionally, the fact that for over a decade, as shown in Table 1, CTC has been increasing the net-of-tax-price faster than the increase in government tax, further confirms that cigarettes in Sri Lanka are still significantly undertaxed. Forsaking this elementary logic, the finance ministry has failed to increase cigarette taxes over the last 20 months (since November 2016), even in line with inflation, just as it failed to do so in the first 20 months after the 2015 January elections; until the president and minister of health intervened through the Cabinet to rectify the anomaly. It is possible that the Finance Ministry is equally misled by the strong misunderstandings about cigarette prices and taxes that are prevalent in the media. But Sri Lanka would certainly do better with a Finance Ministry that paid more attention to professional analysis, rather than hearsay in the media, on its most important taxes.